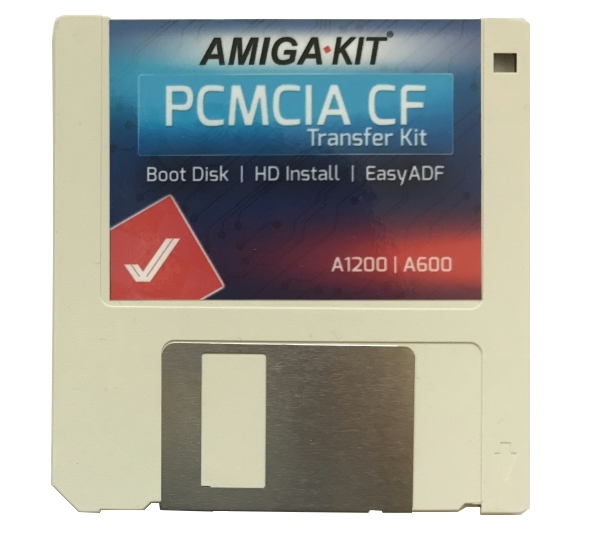 EasyADF software distribution supplied on Amiga floppy disk. On special request we can also email this software to you in addition to shipping your order. 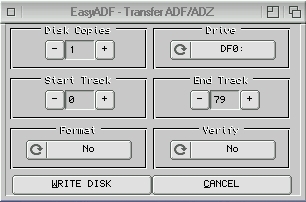 Amiga software includes EasyADF - a quick and easy tool to make or uncompress ADF and ADZ images. Additionally EasyADF can also uncompress LHA archives. EasyADF is ideal for creating ADF images for use with Amiga Forever and WinUAE. Latest EasyADF will also backup your directories or volumes such as System partition with its backup tool.